As a country kid the only route option for bike rides was the gravel road. Rides were out-n-backs with landmarks as the turn around point. On a recent visit back home I took a bike ride down memory lane. This was the most frequent route as it was the closest to home. The wide T intersection was perfect for turning around after skidding to a stop. A popular route for walks with Mom, and sometimes even the cat! The pole has has since been replaced with one like all the rest. For more adventurous rides. Back then this destination seemed so far from home. My brother once rode back home with a bucket of bullheads hanging from his handlebars. Not much on this route had changed. It did seem shorter though, which was good. I forgot to leave Mom a note saying "going to the creek" and needed to hurry back home. On a recent trip to Decorah I branched out my riding repertoire with a morning bike ride on a road unpaved. 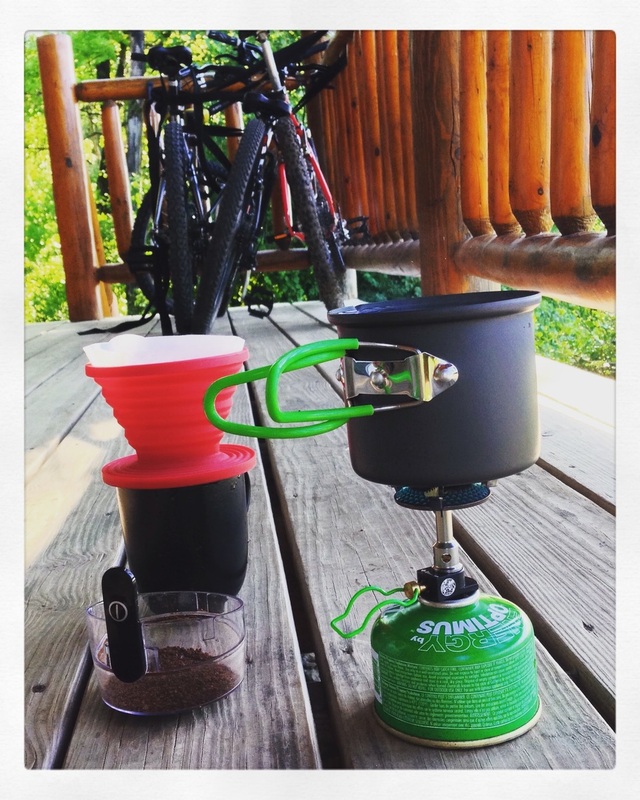 Pre-ride preparations involved coffee outside with Driftless Morning from Kickapoo Coffee Roasters. A fitting blend for the location. 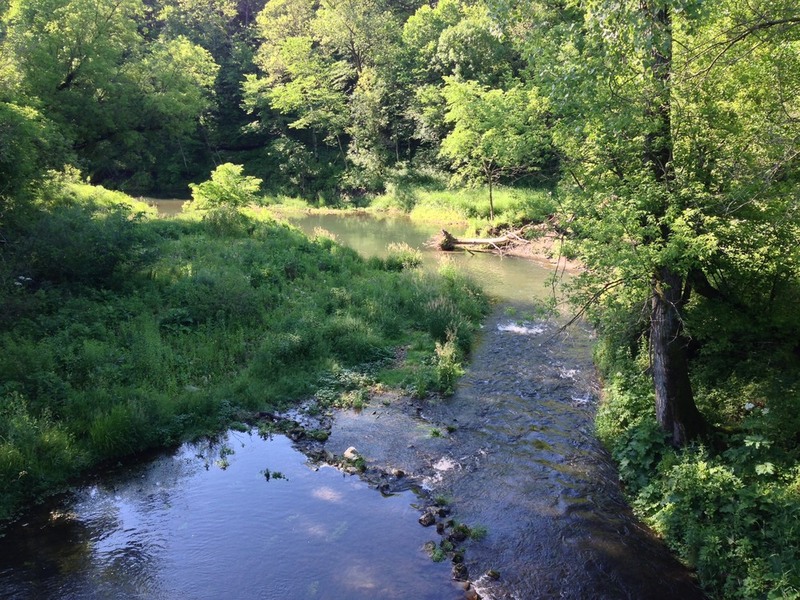 Iowa's Driftless Area is known for it's beautiful valleys and bluff. What a contrast to the rest of the state! Thanks to glaciers putting on the breaks, there's fantastic views scenery soak in, hills to hike or bike, and spring-fed streams to fish or float. My route was a simple one. Leaving from the cabin I rode to the access point of a trout stream. Everyone I encountered in cars along the way were polite. Not only did they all slow down, but said hello with a wave. I stopped a few times to admire views only traveling by bike could provide. The ride had some climbs which helped to burn off (some of?) breakfast. I stopped for snacks at the general store, but it wasn't yet open for the day. Drat! It was a nice change of pace to not only ride somewhere outside of central Iowa, but to leave the pavement and venture down a gravel road. It took me back to the days of riding Cactus Flower, only this time I didn't put my feet up on the handlebars.